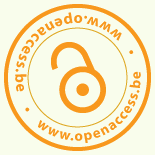 The OASPA (Open Access Scholarly Publishing Association) membership page lists a number of Open Access publishers. Arxiv – Policy: all languages. Fields: Physics, mathematics, computer science, quantitative biology, and statistics. InterNano. For “resources about the advances in applications, devices, metrology, and materials that will facilitate the commercial development and/or marketable application of nanotechnology.” From the National Nanomanufacturing Network. The Data Hub is an openly editable open data catalogue, in the style of Wikipedia, powered by CKAN (Open Knowledge Foundation). You can consult and add datasets. Datasets are more or less thematically ordered.